Most animals in the wild know to stay away from skunks. 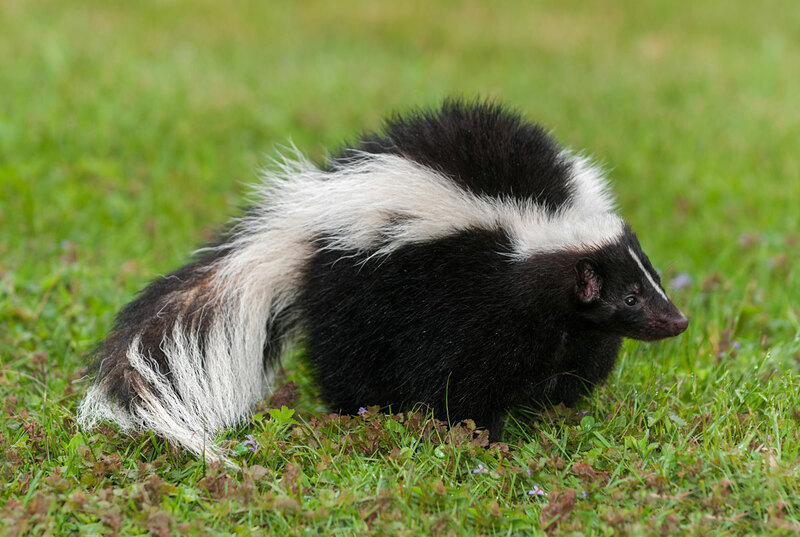 When threatened, skunks will stand on their forefeet and arch their back and tail until the scent glands (at the base of the tail) are aimed at the threat. One quick blast and most predators will instantly give up. Skunks tend to be territorial, so observe them from a safe distance.